Like Roller Coaster Facebook page. Buy pack or canister JACK 'n JILL Roller Coaster. Take the most creative photo with the JACK 'n JILL product and pack according to each round's theme. 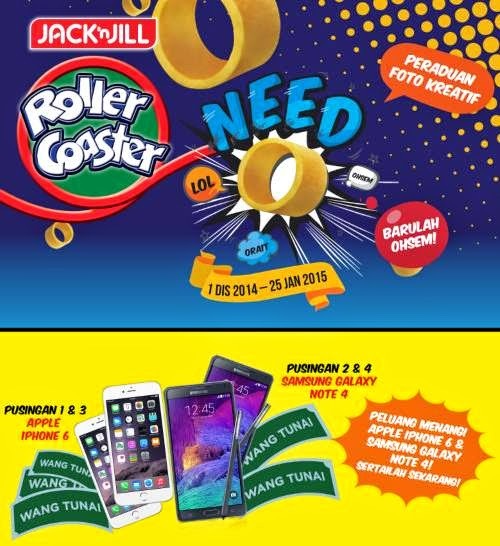 Visit Peraduan Foto Kreatif Roller Coaster Need 'O' Barulah Ohsem contest page for more details.